In a medium saucepan, bring the water and butter to boil. While this heats up, mix together the flour, salt and cornstarch in a medium bowl. Once boiling, add the flour mixture all at once. Mix very quickly and consistently until a smooth dough forms. 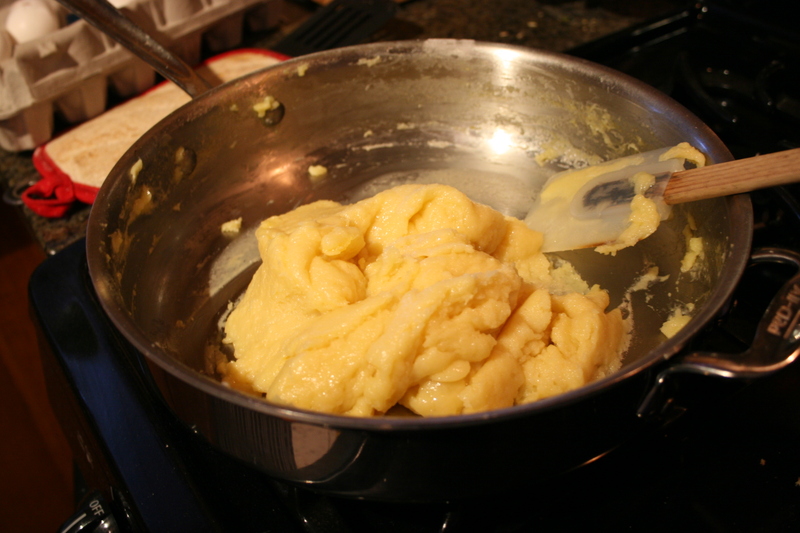 Add eggs one at a time, beating each one in well to avoid getting scrambled eggs:) Remove from heat once the dough is smooth and well-mixed. 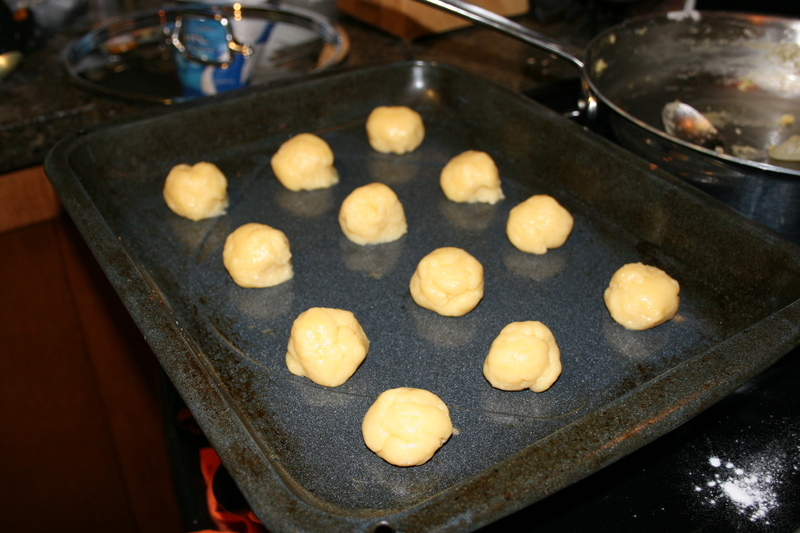 Take tablespoon-fulls of dough and roll in your hands to make smooth ball shapes. Place them on ungreased baking sheets 2″ or so apart. 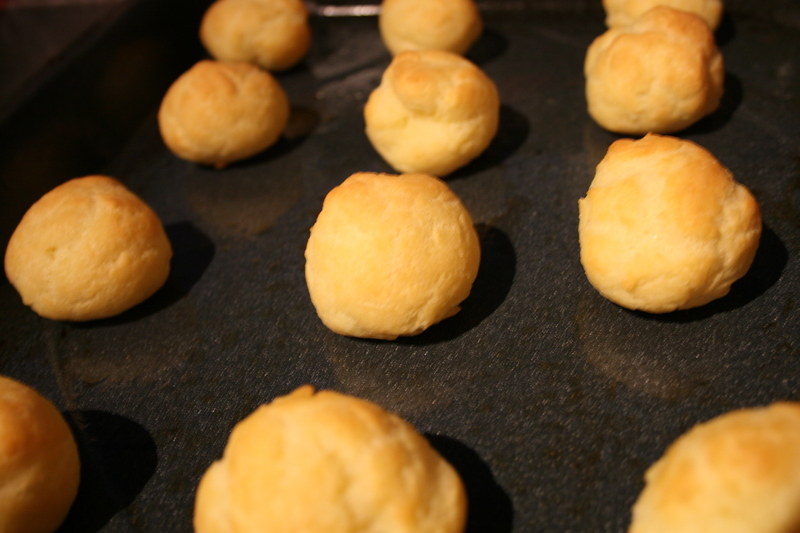 Bake for around 25 minutes, or until the puffs are light golden brown and firm to touch. 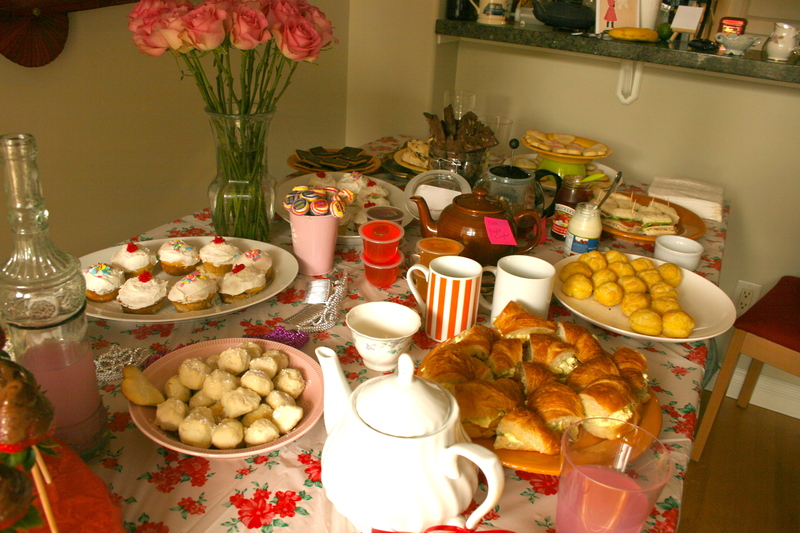 This entry was posted on Wednesday, June 15th, 2011 at 2:57 pm	and tagged with cream puff, dessert, tea party and posted in Desserts. You can follow any responses to this entry through the RSS 2.0 feed.